I love shopping, but despite what Imelda Marcos (owner of 2,700 pairs of shoes) believes, a girl can have too much stuff. For many years I was a mindless consumer like her. I bought clothing, shoes and accessories ad nauseum without thinking “would this work with my existing wardrobe?” So I ended up with mountains of stuff I never wore, a heavy case of buyer’s remorse and a deep need to do something about it. I’m sure many Bon Vivant and a Budget readers can relate. I hated looking at these items for they served as a daily reminder of my illogical, impulse purchases and wasted money. Getting rid of them was both freeing and cathartic. I knew someone else would use, treasure and appreciate my finds; I would have an easier time finding an outfit to wear in my newly pared down closet; and, best of all, I could earn money in the process! Cull items from your closet and dressers that don’t fit, aren’t your style, don’t make you look great, or you haven’t worn in ages. Make two piles. One to donate to the Salvation Army and a second to sell. Anything that looks worn down, has a hole, tear or stain has to go to the donation pile. Items that are in good condition and look somewhat current should populate the sell pile. 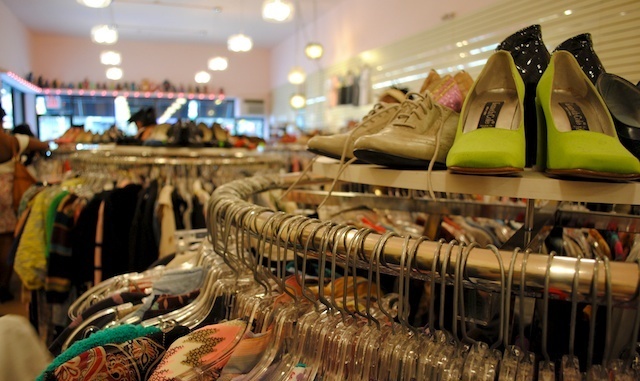 Check what consignment stores are in your area. 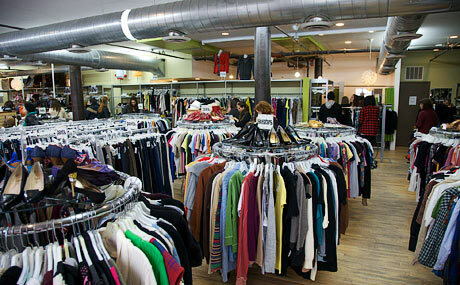 Some popular shops that I have been to are Buffalo Exchange, Beacon’s Closet, Crossroads, and Plato’s Closet. Yelp.com usually has reviews and breakdown of who pays the best, has the biggest selection (they will buy more), and nicest buyers. Do a little research. Some stores have signs that pinpoint exactly what items they are looking for, others have this posted on their websites. Also try to figure out who their target demographic is. If it is hipters, business clothes probably won’t be bought. If it is label whores, forever21 merchandise won’t go over well. If it is prepsters, hip-hop apparel won’t do you any good. Match the items you bring in to that particular customer base. It also helps if you dress in that same aesthetic - If the buyers like your personal style, they are more apt to purchase whatever you bring in (even if it's not amazing) and you, in turn, walk out with more money/merchandise credit. Presentation is everything. Bring in folded, clean, non-wrinkled clothes, free of deodorant marks. Since you don’t want the buyers to view your clothes as trash, eschew the massive black garbage bags. Bring your stuff in a reusable bag or strong shopping bags. Call ahead and figure out the best time to go. You are almost guaranteed to wait in a long line on weekends. I usually sell my stuff on a weekday afternoon and never wait more than 15 minutes. Don’t bring too much stuff at once. I try to limit myself to 2 large shopping bags. This means there is less stuff for the buyers to decline. Leave the super high-end items at home. Although the “expert buyers” would like you to believe they know everything about fashion, they usually only know household names. Don’t expect them to offer fair prices on couture and luxury brands they simply aren’t familiar with; save these items for ebay. 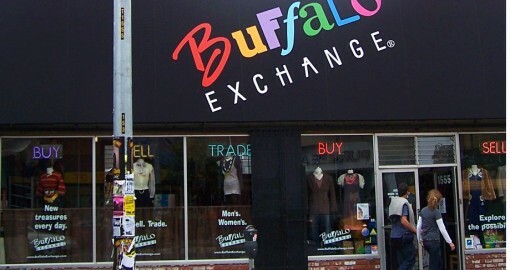 I never sold to Buffalo Exchange,just Beacons Closet.... I think I'll give it a shot tho! you definitely should try and see which one is better for your clothes. As George W. would say, excellent "strategery." Thank you Holly! Nice blog! I would avoid giving anything to Salvation Army, they are run by a very closed-minded board that is not willing to recognize people's rights and often funds very extreme causes. Goodwill is much better!